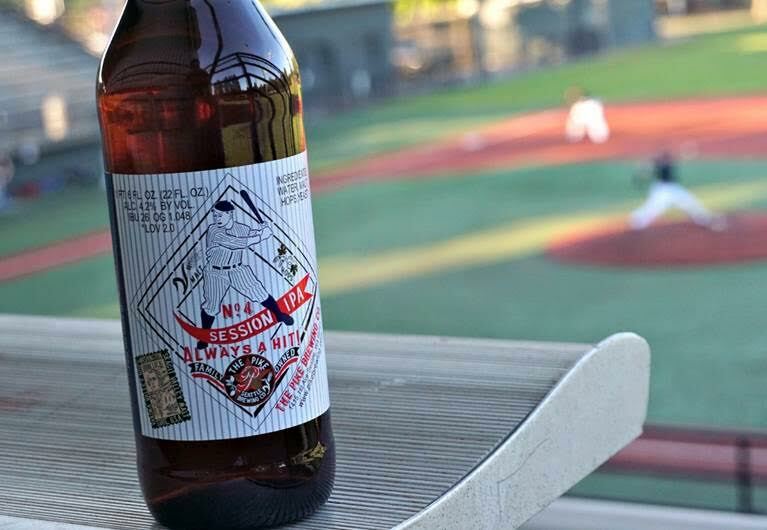 Seattle, WA: Pike No.4 Session IPA delivers well balanced hop flavors and aroma with a low ABV for summertime fun. This bright and floral session IPA is brewed with Skagit Valley Alba malt and the Ales for ALS proprietary hop blend. Together these ingredients create a clean and bright beer with citrus and stone fruit flavors and aroma. Pike Brewing offers a tip of the hat to Loftus Ranches and Hopunion who created Ales for ALS, to Kraig Knutzen for growing our Alba barley and to Skagit Valley Malting for malting the barley. Pike Brewing donates $1 per pint of Pike No. 4 Session IPA sold in our pub and suggests the same donation for pubs, bars and restaurants who pour this summer seasonal beer. HOP VARIETIES: Galena, Mosaic and Ales for ALS proprietary hop blend. Dry hopped twice with Ales for ALS proprietary hop blend. Pike No.4 Session IPA is available now as a seasonal release. You can find it in 22 oz. dinner bottles and on draft. Take a look here for stores, bars and restaurants that carry Pike Brewing Company beer. About Pike Brewing Company: The Pike Brewing Company is an independent and family owned craft brewery located in the historic Pike Place Public Market neighborhood. It was founded in 1989 by craft beer pioneers, Charles and Rose Ann Finkel. Pike Brewing handcrafts beers of character including the Pike Pale Ale, Pike IPA, Naughty Nellie, Space Needle IPA, Kilt Lifter, Monk’s Uncle, and XXXXX Stout along with seasonal offerings such as Hive Five, Post Alley Porter, No.4 Session IPA, Harlot’s Harvest, Old Bawdy, Auld Acquaintance, and Octopus Ink. The Pike Pub is known for local, sustainable and seasonal pub fare and for housing the world-famous Micro-Brewery Museum, illustrating 9,000 years of beer history.